When Canon announced its first full-frame mirrorless camera in the EOS R, there was a lot of excitement. But just making one camera was a bit of a head-scratcher when everyone else was releasing two at a time. Nikon released two versions of its mirrorless platform in the Z6 and Z7, and so did Panasonic with the Lumix S1 and S1R. 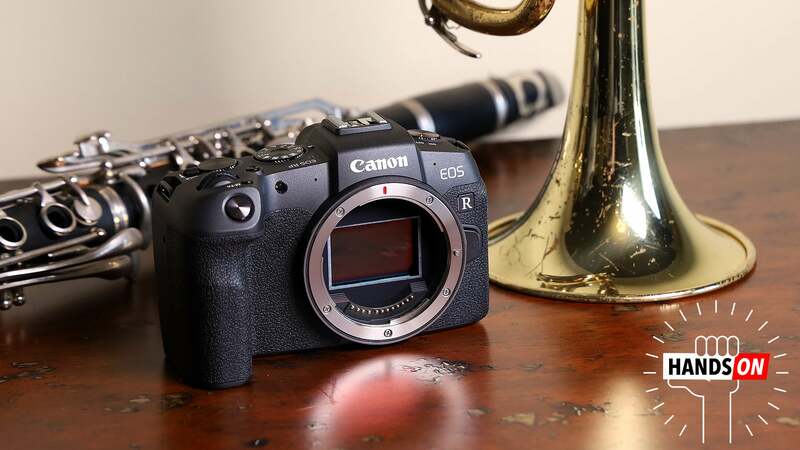 On top of that, the EOS R doesn’t quite have the specs, resolution, or video chops to really satisfy pros, while its $US2,300 price tag makes it a tough sell to newbs or amateurs looking to upgrade. 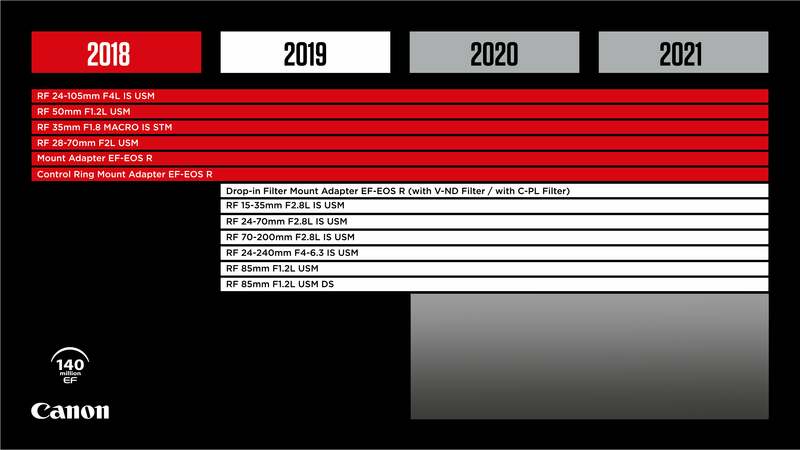 But with the introduction of the new 26.2-MP EOS RP, Canon’s full-frame mirrorless master plan is starting to make a lot of sense. Editor's Note: We still don't have Australian pricing on the camera or lenses yet. However, we do know that the EOS R will be available in Australia from 27th of February. Not only does the EOS RP offer one of the most compact bodies you can get from a full-frame camera (it’s actually smaller and lighter than a Rebel T7i), but starting at $US1,300 (body only), it’s easily the best deal in the category too. The only full-frame mirrorless cameras that even come close in price are the original Sony A7 from 2013 at $US800, and the slightly more recent A7II from 2014 at $US1,000. You also get a 26.2-MP full-frame sensor with only slightly less resolution than the 30.3-MP you get in an EOS R, along with the same Digic 8 image processor, a fully rotatable rear touchscreen, and dual-pixel autofocus tech found in other Canon cameras. Really, the two major features not found on the new EOS-RP that you get on its more expensive sibling are the touch-sensitive multi-function bar (that few people really liked anyway), and the secondary top-mounted display for quickly checking ISO and battery life. What you get in return though is a shockingly good value that delivers what feels like 90 per cent of the EOS R’s capabilities for $US1,000 less. In fact, at 1.07 pounds (with a SD card and battery) and measuring 5.22 x 3.35 x 8cm, the EOS RP is even smaller than a Sony A7III, and thanks to its more profound grip, it’s much more comfortable to hold. One drawback to the RP’s compact design though is that people with larger hands may find their pinky finger dangling off the bottom of the camera, though that is easily addressed with an $US80 grip extension. My bigger complaints with the RP is that like the R, there are a couple things that don’t seem fully optimised. One example is the dial on left side reserved entirely for turning the camera on and off. It seems like it could be better served pulling double duty as a shooting speed selector or ISO dial, two functions that otherwise need at least a couple taps in various menus to adjust. I also wish that by default, the EOS RP’s D-pad was set to control the camera’s focus point selector. That means out of the box, you’re forced to rely on the RP’s 8cm touchscreen until you feel like spending a bunch of time sifting through dense lists of settings to enable something that should be turned on by default. That said, many potential problems with buried settings are alleviated by the RP’s multi-function button found next to the shutter button, and Canon’s Q-menu, which with one touch, gives you access to important things like metering, autofocus type, image quality, and more. The other thing I want to mention before we get to what it’s like to actually shoot with the new EOS RP is its electronic viewfinder. In most situations, it performs just fine. But in bright light, sometimes I noticed that its shallow eye-cup often let more light leak in than I’d like, which occasionally left the 2.36 million dot OLED EVF feeling slightly restrictive. However, when you actually start snapping pictures, almost all of these little annoyances quickly fade away. The combination of a compact body mated to a big full-frame sensor results in an affordable camera that exceeds expectations. In low-light, shots at ISO 6,400 only showed minimal noise, while shots in bright light looked sharp and colourful across the board. When compared side-by-side with a $US3,400 Nikon Z7, the EOS RP showed a bit a blurriness towards the edge of the frame and slightly less dynamic range. Yet it’s hard to be too upset considering there’s a $US2,000 price gap between the two cameras. One small concern is that for the new and entry-level photographers Canon is targeting with the EOS RP, in full auto, Canon’s algorithms tend to be a bit too aggressive when it comes to raising the camera’s ISO. In low light, that can result in photos that appear grainier than they really need to be. Although in some ways, that only reinforces the need to understand how your gear really works. Another quirk I noticed is that when focus tracking is turned on, Canon’s eye AF still isn’t quite as reliable as what you get on Sony’s full-frame mirrorless competitors. Tracking often feels a bit jumpy, so that when shooting head on, the camera is generally quick to lock on, but if your subject turns their head even slightly, the camera tends to revert back to general face detection. If shooting animals is more your thing, I found Canon’s focus tracking relatively adept at keeping focus locked firmly to your subject. When I ran into a flock of birds, all I had to do was tap one on the EOS RP’s rear screen and let the camera do its thing. The big benefit of this is that once your focus is dialed in, it’s much easier to concentrate on framing and composition. The only time I noticed a lot of drifting is when I tried to lock onto a nondescript object like a far away door or window. Canon also added one brand new feature for the EOS RP with its focus bracketing mode. Setup is pretty simple, as all you have to do is turn the feature on, tell the camera how many pictures you want it to take, select an aperture, and then press the shutter. From there, there camera will take a series of photos while slightly adjusting the focus point each time. The more difficult part comes next, because once you have a collection of images, it’s on you to play around with Canon’s editing software to stack them together to create a final composite. It’s a neat trick, I just wish that since the camera is aimed at beginners and amateurs, Canon had included an option to stack images in camera too. As for video, the EOS RP is equally proficient though it still suffers a bit from rolling shutter even during relatively slow pans, which can make otherwise straight vertical lines appear bent. The EOS RP also has an oddity when it comes to video resolutions because while it can shoot 4K video at 24 fps, when set to 1080p, you only get the choice of 30 or 60 fps. Weird. The one potential downside is that I found the EOS RP’s battery to be relatively mediocre. In normal conditions with time split between using the EVF and the rear touchscreen, I depleted the EOS RP’s after 190 pics while shooting JPEG plus RAW, with another 10 or so one to two-minute videos mixed in. That’s a bit less than the EOS RP’s CIPA rating of 250 shots per charge, but since some of that time was spent messing around in settings, Canon’s claim seems about right. Unfortunately, like the EOS R, the EOS RP doesn’t offer in-body stabilisation as you would get on Nikon’s Z camera or a Sony A7III. But here’s the thing. On a $US2,300 camera, that’s a big sticking point. On a $US1,300 ($1,823) camera, suddenly that omission is way less offensive. And in a way, that really sums the EOS RP as a whole. At just $US1,300 ($1,823), the EOS RP brings the best things about the full-frame mirrorless camera, like superb image quality, compact dimensions, and nifty autofocus features, down to a price that new and amateur photographers can actually afford. And with Canon also announcing six news RF lens designed to work with its full-frame mirrorless cameras due out before the end of 2019, the currently limited selection of native lenses won’t be an issue for too much longer. And even though I only had one day to mess around with the EOS RP, it already feels like one of the best examples of why we should care about the new breed of big sensor mirrorless cams. The Canon EOS RP will be available starting in March for $US1,300 (body only) along with a free lens adaptor (for non-RF Canon glass) and extended grip, or as part of a kit with an EF 24-105mm kit for $US1,700, or an RF 24-105mm lens (which is the same kit lens you get on the EOS R) for $US2,200.